If you’re a lover of fine food, wine and spirits, your perfect weekend awaits you in Atlantic City this fall. 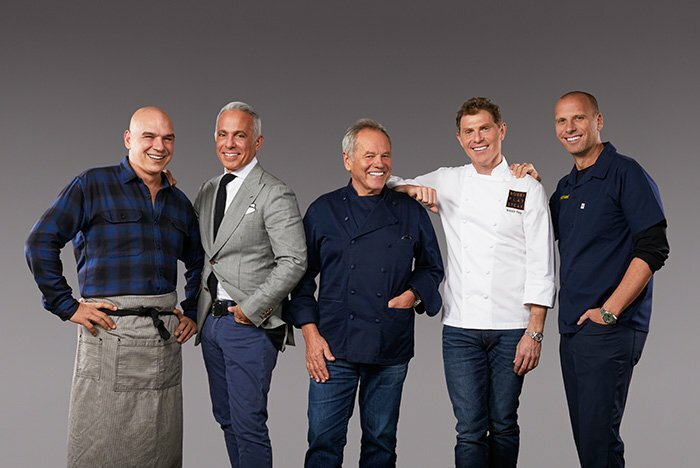 Savor Borgata kicks off on Friday, November 9 at the bay front resort and will feature 18 culinary events featuring delectable meals, cooking demonstrations and hands-on lessons from celebrity chefs like Bobby Flay, Michael Symon, Geoffrey Zakarian, Michael Schulson and Wolfgang Puck. Tickets are on sale now. Discover the events that intrigue your palate most from the list below, book your room and get ready for a one-of-a-kind weekend. Enjoy Borgata's award-winning buffet two ways with a unique Chef’s Table dining experience celebrating Executive Chef Tom Biglan's favorite family-style specials and signature cuts of meat served tableside, all while indulging in the full Buffet offerings. This experience includes red or white wine. Enjoy an evening with Count Giovanni Baonmartini-Fini, President of Barone Fini Wines and a 15th generation wine maker that specializes in Pinot Grigio. He will personally guide you through a 4-course tasting menu paired with wine; sharing his story and passion for wine. Join Philadelphia's chef extraordinaire, Michael Schulson, as he prepares a unique 4-course dinner menu paired with award-winning Suntory Japanese Whiskies. Master Sommelier and Music Aficionado Rob Bigelow will take you on an interactive journey that utilizes all your senses to discover which wines pair best with songs from many of your favorites artists. Join Old Homestead restaurateurs Greg and Marc Sherry for an exclusive 4-course dinner menu prepared by Executive Chef Romeo DiBona, paired with Chappellet…a wine lover’s wine! Relax, unwind and enjoy as Borgata estheticians demonstrate how you can use every day foods in your kitchen to create a spa day at home, while indulging in light brunch bites. Spend the afternoon exploring the five basic taste sensations of sweet, salty, bitter, sour and savory. Allow your taste buds to experience a tour of Asian inspired culinary selections created by Chef Situ, paired with Asian influenced libations. Join Borgata’s Executive Chef Tom Biglan for a behind-the-scenes look at dinner service in a professional kitchen. Experience what it takes to execute a flawlessly-timed meal while enjoying a four-course tasting menu accompanied by wine. Chef Brian Perry will prepare delicious gluten-free bites paired with Tito’s Handmade Gluten Free Vodka cocktails. Enjoy the many facets of Pinot Noir as you wind your way from Europe through California to Oregon and beyond with Master Sommelier Robert Bigelow. Join renowned Chef and Food Network Personality Wolfgang Puck for a live cooking demonstration at Borgata's Music Box theater. Learn how Chef Wolfgang creates some of his most celebrated recipes. Join Executive Pastry Chef, Thaddeus DuBois for a hands on class exploring different kinds of gingerbread cookies. You’ll take home some great ideas for fun and flavor-filled gingerbread cookies this holiday season! Add a little spice to your Savor Borgata experience with Tequila at Borgata's rock n' roll tequila bar, Gypsy Bar. Explore the flavors behind this 100% blue agave tequila while savoring several mouth-watering tacos. Don’t miss The Ultimate Food Experience, a unique food festival, celebrating Borgata's Master Chefs. Enjoy live music as you mix and mingle with Borgata’s star-studded roster of chefs, including Bobby Flay, Michael Symon, Michael Schulson and Geoffrey Zakarian, among others.